Below is a guest post from Dr. David Mayeda a professor at The University of Auckland and blogger at sites like The Grumpy Sociologists, The Cranky Sociologists, and SociologyInFocus. Ahhh, I could watch that a thousand times over and still not be tired of it! The power that racism carries depends on how it is embedded in institutions and whether or not racist actions carry with them institutional support. Hence, even if ethnic minorities have advanced in society and carry power, they still typically lack institutional power, and when racist actions are perpetrated against them, minorities tend to lack the institutional means to defend themselves. As Solorzano and colleagues (2002) argue, “racism is about institutional power and that People of Color in the United States have never possessed this form of power to a significant degree” (p. 24). Returning to the story at hand, as Dr. Gibney was discussing this very concept in her class, a white male student asked, “Why do we have to talk about this in every class? Why do we have to talk about this?” And as Dr. Gibney attempted to respond, another white male student interjected, “Yeah, I don’t get this either. It’s like people are trying to say that white men are always the villains, the bad guys. Why do we have to say this?” Dr. Gibney replied, “if you’re really upset, feel free to go down to legal affairs and file a racial harassment discrimination complaint.” After the white (male) students took Dr. Gibney up on her offer, we can see the institutional aspect of this case come further into play. As each new cohort enters my classroom, I am prepared to present my credential and prove my credibility. But it doesn’t stop there. The students have to assess my teaching before I receive my ‘pass.’ I can’t tell you the number of times where students, especially older White men in our doctoral program, have challenged my authority in the classroom or took subtle shots at my credibility. (p. 720). Then, when scholars of color discuss how racism operates systemically in society, they run a greater risk of being challenged by students for their alleged reverse racism. And worse yet (as was clearly the case with Dr. Gibney), those students from the dominant group are more likely to receive institutional support from their university’s management, who unsurprisingly also represent the dominant group. Dr. Gibney, however, is not taking this sitting down. 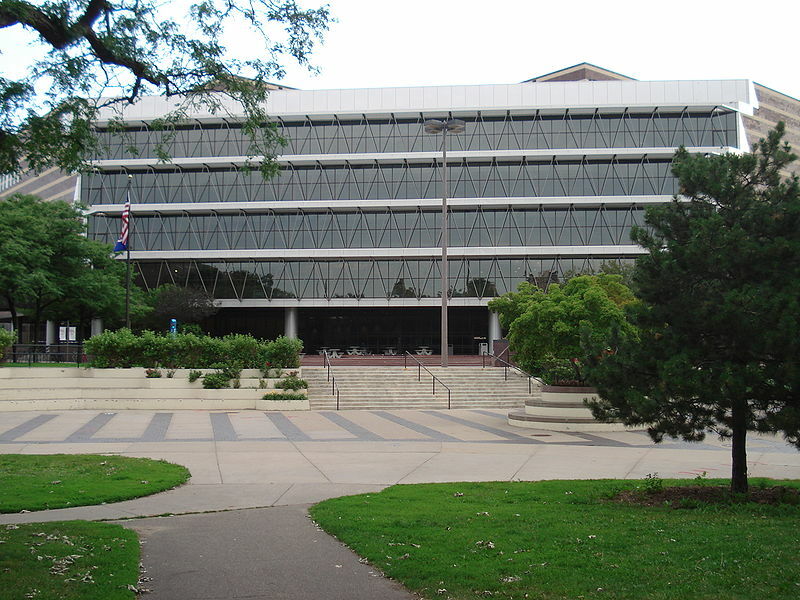 She and six colleagues plan to file an anti-discrimination lawsuit against Minneapolis Community and Technical College. Good on them. Still, in order to earn and exercise power and respect, look at all the extra work people of color are burdened with. I do not profess to understand what Dr. Gibney has experienced as an African American female academician, but as a person of color actively supporting Maori and Pacific students in Aotearoa New Zealand, I can relate. Stay strong sistah. Explain how institutionalized racism differs from interpersonal racism (racism occurring between two individuals who are of equal power). It is very difficult for many of us to believe that systemic, institutionalized racism can exist since racism is outlawed in most societies. Explain how racism operates institutionally despite being illegal. Read Nathan Palmer’s take on this here. How does this case exemplify white privilege? Dr. Gibney’s struggles are happening within a context of higher education. Identify and describe an example of institutionalized racism in another sector of society. If we already have laws that outlaw racism, how might society work to eradicate institutionalized racism? Maybe it’s the Just World Hypothesis or maybe it’s the dichotomization of racism, but for whatever reason, students are quick to claim they’ve been cured of racism. Racism, it would appear, is a big problem… for other people. Or older generations. Or other parts of the country (like in the South). According to many students, racism is a problem, to be sure, but it’s not a problem for them. I’ve talked at length here at SociologySource about the need to teach our students that racism is more than overt hateful acts committed by ultra bigots. Racism (and all prejudice and discrimination for that matter) need to be conceptualized as problems “good, moral, and honest” people have. Furthermore, when we conceptualize all prejudice and discrimination as being big events carried out by mean people, we marginalize the day-to-day experiences of socially non-dominant peoples. The concept of microaggressions helps my students understand the more everyday side of racism. Microaggressions are defined by Solórzano et al. (2002) as, “subtle verbal and non-verbal insults directed at non-whites, often done automatically or unconsciously” (Pp. 17). This conceptual framework also does a great job of separating the intent of an action from the impact that action has. Franchesca Ramsey’s Sh*t White Girls Say About Black Girls is one of the best illustrations of the microaggressions concept. Ramsey satirizes white microaggressions in a way that is both painfully funny and painfully honest. When this video came out it quickly went viral and then was parodied by a number of white actors who thought it was racist to point the finger at white women. The article “Not Everyone’s Laughing At ‘Sh*t White Girls Say To Black Girls’” by Tami Winfrey Harris at Clutch magazine does a fantastic job of reporting the backlash and critiquing the false equivalence of microaggressions targeted toward whites. Winfrey Harris uses microaggressions to analyze both Ramsey’s video and the backlash to it in her article and draws attention to the blog Microaggressions.com. This is a fantastic site of user submitted stories of microaggressions they have experienced in their everyday lives. Pairing Ramsey’s video, Winfrey Harris’s article, and Microaggressions.com seemed like too potent a pedagogical opportunity to not use in my classes. I put together a quick written assignment for students to do before coming to class that will hopefully start a vibrant discussion on racism and microaggressions (Download it Word | pdf). Unlike most of the things I post here at SociologySource, I haven’t tried this one yet, but I plan to this fall. If you’ve taught microaggressions before or if you have any suggestions/additions to this project hit me up on Twitter @SociologySource, on our Facebook page, or email me at Nathan @ SociologySource . Com. I was then and am now, a feminist. I was also wildly unaware of how my social location was affecting my world view. If Donald Trump started a Mr. Socially Dominant pageant I could enter. I am white, male, heterosexual, upper middle class, able-bodied, and young (despite what my students say). When I said feminazi in class, I truly believed the other feminists in the room would recognize the term and embrace me as one of their own. I had a lot of unlearning to do. I’ve spent my entire life awakening to the world around me. Awakening to the experiences of people who don’t enjoy the privileges that are automatically extended to me. Typically I’m only guessing and typically I’m wrong, but I’ve been fascinated for years by the question, “what must it be like to not be in the dominant group?” In asking this question I’m really asking what is it like to be myself. To live with privilege. If you teach sociology, then I don’t need to tell you that teaching privilege is hard, especially if you are teaching it to students of privilege. Because social privilege is extended automatically and often unconsciously, telling someone they have privilege is like trying to convince a fish they are surrounded by water. It would appear that the greatest social privilege the dominant group enjoys is the privilege to enjoy their advantage without having to be aware they are receiving it. One of the privileges of being white is that you do not have to think of your experience as being unique or distinctive to your racial group. Many students, but particularly white students, when asked to identify their race will say, “I’m American”. When I teach culture it’s not uncommon for a student to raise their hand and say something like, “I feel like I don’t have a culture. I see all of these other people eating special foods, dancing at celebrations, and stuff like that and I wish I had a culture too.” Of course this is ridiculous, if we air dropped them into a foreign country where no one spoke their language, at their foods, or celebrated their holidays then their culture would jump up and slap them in the face. My point is, being the default, the neutral, the unremarkable leads the dominant group to sleepwalk through their unique cultural and racial experience. We can see evidence of this sleepwalking in the common reactions white students have toward racism. Over and over again I’ve heard my white students say verbatim or in essence, “there is no solution to racism”. Which I, up till now, took to mean “there is no way we can mitigate racial inequality”. However I now believe I’ve been thinking about this all wrong. What I think my students are saying is, “there is no way to make race go away.” But why does race need to go away? Being “colorblind” is popular because it simplifies the world. “If we could just stop talking about race- if we could stop thinking about it, then we could just move on” is a common refrain my “colorblind” students espouse. From the perspective of someone who actively ignores race, discussions of or any acknowledgement of race creates the problem. To solve racism, the colorblind believe, everyone just needs to join me in not thinking about race. Of course, the dominant social group would say this, because they are already the default in society. By giving up the word race, they are in effect ignoring all non-dominant racial groups. Sleepwalking students want racism to go away. When you’ve effectively convinced them that racial inequality is real, they get caught in a moral cognitive dissonance. A good person doesn’t allow injustice to go on in their community, so if they accept racism as real, they are forced to do something about it, redefine themselves as a bad person, or mitigate the cognitive dissonance. This usually entails denial, rationalization, or throwing their hands up in defeat. I’m fond of saying anger is a common side effect of learning. When you awaken a sleepwalker they abruptly realize that the dream world they were just in is a fallacy and the harsh realities of being lucid to the world around them can make them angry. They want to go back to sleep. They want to return to the simple and comfortable dream world you pulled them from. To be uncomfortably honest I see myself in these responses. I know them from an insiders point of view. Being a part of the dominant group means you receive a life-long training in the justifying rationales that tell you everything is ok- everything is as it should be. It’s surprisingly easy to be lulled to sleep on the issues of inequality. I angered people my senior year when I declared myself a feminazi, but I learned a lot about my social location, worldview, and my blind spots. In the years that have passed since that day, I’ve tried to open my eyes wider. I’ve tried to wake more fully, but I still have a ways to go. When I was a kid my school had “multi-cultural” day- usually in February. It was our annual conversation about MLK and the Civil Rights movement. I remember asking my 5th grade teacher something to the effect of, “if today is ‘multi-cultural’ day, what are all the rest of the days?” I’ve been an “annoying sociologist” my entire life. On these “multi-cultural days” we were taught one thing more than anything else, “don’t be racist”. Racism, I was told, was a problem had by ignorant meanies. Racism was an end state. It was something you were; like a title. This, as I’ve discussed before, is the dichotomization of racism. A week or so ago, friend of the site Paula Teander or @sober_sociology sent me this TED talk by Jay Smooth about the dichotomization of racism (he doesn’t use those words). I like this video so much that I will certainly be using it in my 101 classes from now on. These are great and I totally plan on using them, but as a sociologist, I always want my students to know that while individual racism is terrible, institutional racism has a much bigger impact on the daily lives of people in our society. That’s what they don’t teach you during “multi-cultural days”. When racism is discussed as an individual problem (whether it be an end state or a single act as Mr. Smooth suggests), it overlooks how racism can exist without any one person being actively and overtly racist. After we talk about racial institutional discrimination in housing, employment, banking, education, etc. I ask my students, “If I could wave a magic wand and make everyone never think, act, or speak in a racist manner ever again, would racial inequality evaporate?” The answer comes easily to my class. Why are murderers who kill Whites more likely to receive the death penalty than those who kill a person of color? What does this say about the role race plays in our societies valuation of life? These are the questions I raise with my students when we read a short excerpt about Victim Discounting out of Schaeffer’s Racial and Ethnic Groups*. 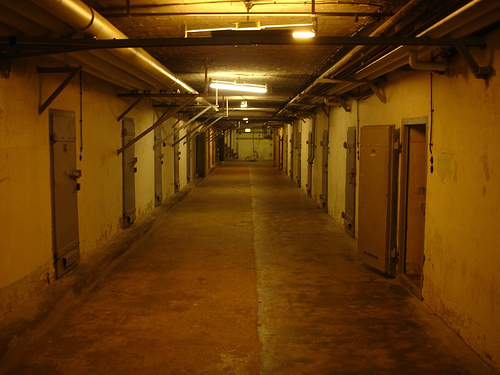 The excerpt tells students that even though Whites and African Americans commit roughly the same number of murders each year, African Americans represent 72% of all the defendants in death penalty cases. Compounding this inequity, of all the murder cases that faced the death penalty 79% of the victims were White even though Whites only represent approximately 50% of all those murdered each year. Put simply, Whites are less likely to face the death penalty for committing murder and when Whites are murdered their assailant is far more likely to receive the death penalty. Inversely, African Americans are more likely to be executed for killing another and less likely to have their assailants put to death. After reading the excerpt I have my students brainstorm possible explanations for the inequity. Typical responses include, 1) the majority of police, lawyers, judges, and others in the legal justice system are White, 2) in most areas jury pools are predominately White, thereby increasing the likelihood that the jury will “see themselves” or a family member in the victim, 3) if juries are predominately White, they may have a harder time identifying with and subsequently sympathizing with defendants of color. Be prepared for some victim blaming here too. Frequently students will say something like, “well if the murders Black people commit are more savage or heinous then that may explain why they are more likely to be put to death”. Questions like this can be quickly addressed by asking, “what is it about a Black person that makes you think they are more likely to use tactics that are more ‘savage’ or ‘heinous’?” Furthermore, you can ask, “what makes you confident that Whites are more likely to use ‘less savage’ or ‘heinous’ tactics?” It quickly becomes apparent that these assumptions are only based on stereotypes. Here is a group activity that I developed for my students. I have my students explain in their own words victim discounting and the inequities the excerpts discuss. Lastly, I have the students debate the legitimacy of using the death penalty if it is being applied unequally. It is always interesting to hear the justifications for keeping the death penalty (for the record I’ve only taught in states that have the death penalty). Students often say that, “we need the death penalty” and that, “we just have to do a better job of applying it equally.” When I ask them to provide guidelines or new policies for how we can ensure a just application of the death penalty typically the classroom goes silent. So I conclude by asking, “Does your opinion on the abolishment of the death penalty change if we cannot find a fair way of applying the death penalty?” The answers are interesting every time. If I had one disappointment with this excerpt it would be that it reinforces the false White/Black racial binary. Students frequently ask for information on murder and victimization for other racial ethnic groups. If you have some good sources be sure to share them. *Note: This excerpt was removed from the latest edition of Schaeffer’s Racial and Ethnic Groups, which is a shame. Given that it is out of print and I have reprinted only a snippet of it, I think I am under the Fair Use shelter. Please don’t sue me, I love my family. Teaching Inequality From a Position of Privilege. I am a white middle class heterosexual male sociology teacher. I teach about inequality that I benefit from. I teach about inequality that I can mindlessly recreate both inside of and outside of class. I teach about inequality that some students deny exists and some know on a first name basis. From the outside this could seem hypocritical; I could appear a fraud. Have I chose the wrong line of work? Can white teachers teach race and ethnicity? Can middle class teachers teach economic inequality? Can male teachers teach gender inequality? Can straight teachers teach sexual inequality? They can and they must. As a white middle class male heterosexual teacher I walk into my class room and when students lay eyes on me they more often then not have their preconceptions of what a professor is going to look like met. My collard shirt, my wedding ring, my clean shaven face all reassure them that I am what they were most likely bargaining for. I fit the stereotype of a professor and subsequently benefit from it. When I talk about inequality students take me at my word. They don’t say to themselves, “well of course you would say that you are _______”. When a person of privilege asks, “why are things this way; why are things so unequal” the taken for granted aspects of our culture are more easily knocked down from their perch of sacredness and honest exploration of the status quo can begin. (Messner 2000). For students of privilege I can use our shared cultural experience as an illustrative example of how inequality is created. When I tell my students how I mindlessly hurt someone with my own prejudice I can role model how to grapple with and acknowledge privilege. For all of my students I can be an example of someone who stands up for social justice and does not tolerate intolerance. I can show them that no one is inoculated from being prejudice, discriminating, or holding biases. I can stand before them not as a savior with all the right answers, but a fallible educator with some of the right questions. I’m obligated for countless reasons, but here are two of them. First, racism is not people of color’s problem, nor is misogyny women’s problem, nor is homophobia the LGTBQ community’s problem, etc. The oppressed and exploited are not responsible for ending oppression and exploitation. They are inextricably linked to it and certainly most affected by it, but it is not their responsibility to mitigate it. As an individual who begrudgingly benefits from exploitation and oppression I am obligated to work to end it. If you believe for one second that you benefit because of your social position (regardless if you seek it out or not) and you believe in social justice, then you either feel obligated to do something about it or you feel cognitive dissonance. If what I’m saying sounds to you like “white guilt” or one of it’s equivalents, then I ask you, how is cognitive dissonance treating you? Teaching inequality from a place of privilege requires me to be constantly reevaluating my world view, how I structure my class, and how I interact with students. Privilege is often automatically extended to the privileged. Bias emerges not from consciousness, but from being unconscious about how your world view is slanted. To understand your privilege and how you benefit from it you have to think outside of yourself. You have to imagine how your words and actions would appear to someone who does not experience the privileges you do. Its complex, convoluted, and at times maddening. But the burden of dealing with privilege is minuscule compared to the burden forced upon those without it. Teaching involves power and so it has the potential to recreate inequality. All teachers must be mindful of this. You must be willing to own up to your mistakes and learn from them. You must be honest with your students about the privileges you hold and your humanity. This is the only way to reduce inequality, make your community a better place, and change students lives. *For the record. I don’t see teaching diversity as a burden, but a privilege. I prefer teaching required diversity courses as I love interacting with my students on material that is challenging and at times controversial. Perry, Gary, Helen Moore, Crystal Edwards, Katherine Acosta and Connie Frey. “Maintaining Credibility and Authority as an Instructor of Color in Diversity-Education Classrooms: A Qualitative Inquiry.” The Journal of Higher Education 80.1 (2009): 80-105. How do White parents and Parents of Color teach their children about race? This is the primary question I ask my students for one week during my Race & Nationality courses. 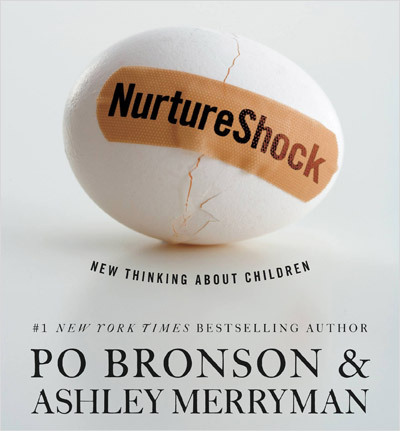 To help answer this I have the students read a chapter called “Why White Parents Don’t Talk About Race” out of the “pop sociology”* book NurtureShock by Po Bronson and Ashley Merryman. According to Bronson and Merryman’s Nurtureshock White parents don’t talk to their children about racism, but rather believe that children are naturally colorblind. Many of the studies done on how White parents talk to their children have found that White parents believe that talking to their kids about racism would actually make them racist. After reading all of the studies in the chapter that showed that White children, like all children, were able to identify physical differences in others and they believed that those who looked most like them were inherently better than those who did not. This is a great opportunity to talk about essentialism and ask if some adults still believe in essentialism. Some of my students took this to mean that racism is natural and subsequently okay. However, I try to draw a parallel between how children naturally do not want to share, but rather they have to be taught to share. We talk about how being selfish is shortsighted and anti-social, just like being a essentialist, and that parents who want their children to be good citizens teach their children to abandon these ideologies. Bronson and Merryman go on to discuss how parents of color talk openly about race with their children as a means to prepare them for racism, prejudice, and discrimination that they will face. They provide research that shows teaching children of color cultural pride increases many pyscho-social variables (e.g. self-esteem, self-efficacy). This research is more than timely considering Arizona’s ban on ethnic studies programs. They also provide data to show that most White children inherently know that the White race has more social power than people of color, so teaching white pride to children is “abhorrent” and “redundant”. My students loved this reading. The found it interesting, challenging, and they found the writting approachable. Where many texts leave intro students behind by using jargon or technical language, this text goes to extreme lengths to explain the complex simply. Does race still matter? 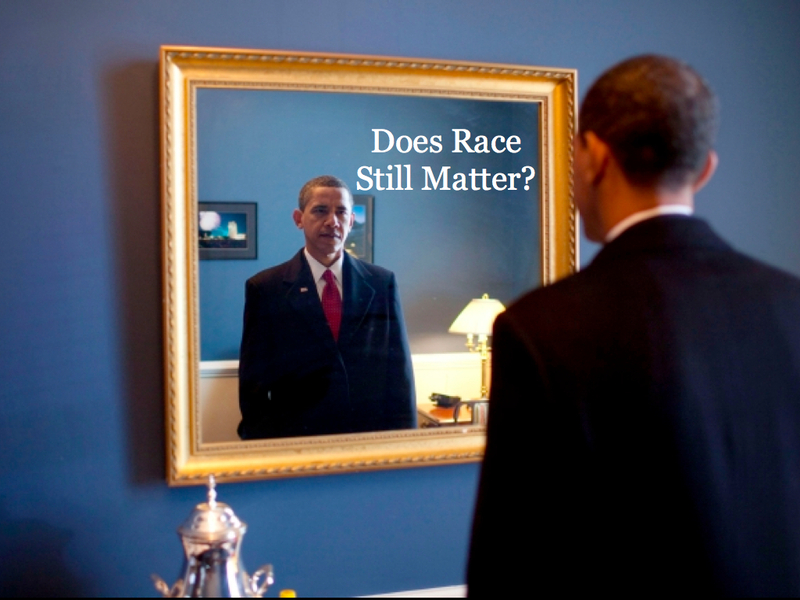 This is my day one question for students in my race & ethnicity courses. Many students walk into my class on the first day thinking that racism, prejudice, and discrimination are issues that were solved in the 1960s. Students have said to me, “How much racism can there be if we have a black president?” While I see this line of thinking more often from my white students, I have had numerous students of color share this mindset. 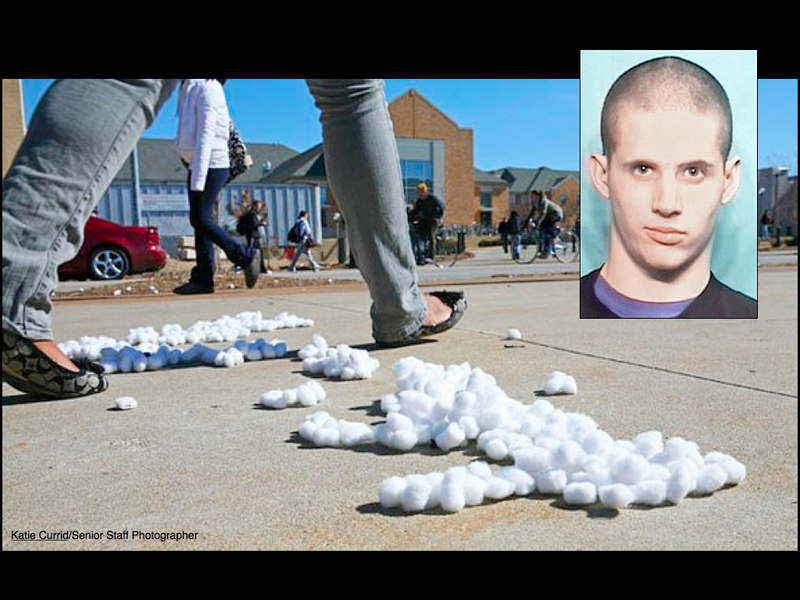 Many students are surprised to hear that this February two ROTC students spread cotton in front of the Black Culture Center at Missouri University to mock Black History Month. I have developed a lecture that shows students how race and racism are still issues at the national, state (NE), and local level (Lincoln). All of the news events at the national level are from the last 6-12 months. I use data from the Kids Count to show students the poverty and graduation rates for the state by race & ethnicity. In Lincoln we are fortunate to have a chief of police who has blogged about the discrimination and hate crime issues we as a city face. I wrap the lecture up by discussing how racism, prejudice, and discrimination affect us at an individual level. You can read more about this discussion in my post on the dichotomization of racism.